Makati is still the premier address in the Philippines. Perhaps the only proper comparison to Makati is Manhattan in New York City. There you have the Financial District, the business hub; Midtown, the posh retreat; Soho, the stylish enclave; and many other districts that each offer something different. Makati boasts the same diversity making it the ideal place to live. Not only do many of the country’s major financial institutions have a strong presence in Makati, but it is also home to some of the largest corporations in the Philippines including Nestle and Smart. 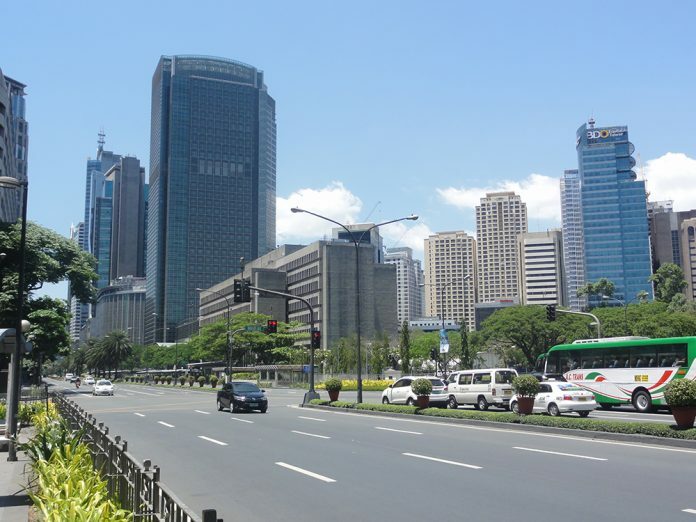 It comes as no surprise that the Wall Street of the Philippines, Ayala Avenue, is located in the city. Additionally, the city hosts the finest hotels, most popular dining spots and upscale shopping. It’s no wonder why A-List stars and titans of industry continue to choose to live in Makati. While you may know about the city’s business prowess, Makati is also home to cool coffee shops, bars and restaurants with each neighborhood boasting its own unique ambiance. Just like in Manhattan, no two places are the same and you’re sure to find the perfect place to unwind after work with friends or relax with the family during the weekends. But living in Makati also provides you with the chance to step away from the hustle and bustle of everyday life. The neighborhood isn’t as dense as other parts of Metro Manila allowing you a chance to catch your breath find peace in the city. It’s also extremely walkable with all corners of the city connected. What’s more, Makati continues to grow. In less than a century, the city has transformed from a sleepy settlement to an expansive economic and lifestyle powerhouse. And the story is yet to be completed. Planned infrastructure updates will connect Makati to all points in Metro Manila. The past growth is truly astonishing, but the future of the city will be just as impressive. No condominium captures the cosmopolitan spirit of Makati like Lush Residences from SMDC. Located off of Ayala Avenue, the residential development features a prime address in the city center that only a select few will be able to call home. Those who live here will be able to enjoy a concierge lifestyle fitting of this cosmopolitan neighborhood. Everything from daily necessities to modern luxuries can be found at the tip of your fingers freeing you up to pursue your passions and share moments with the ones you love. When you aren’t partaking in the joys of Makati, home life at Lush Residences brings a splendid set of rewards. The vibrant green spaces are a peaceful backdrop that are calm and allow you to recharge. You’ll also find a spectacular set of amenities designed with the concierge lifestyle in mind. Lush Residences takes its inspiration from the surroundings of central Makati. No other residential project has the charm, convenience or character suited for this cosmopolitan lifestyle. Of course, lifestyle is only one reason to buy a home here. Investment plays an important part in the decision making process as well. Lush Residences is a great investment opportunity. While you are enjoying the best life has to offer in this cosmopolitan hub, the property’s central location along with the strong demand for condo units in Makati means its value will appreciate in the coming years. For more information, please visit the official website for Lush Residences by clicking here.